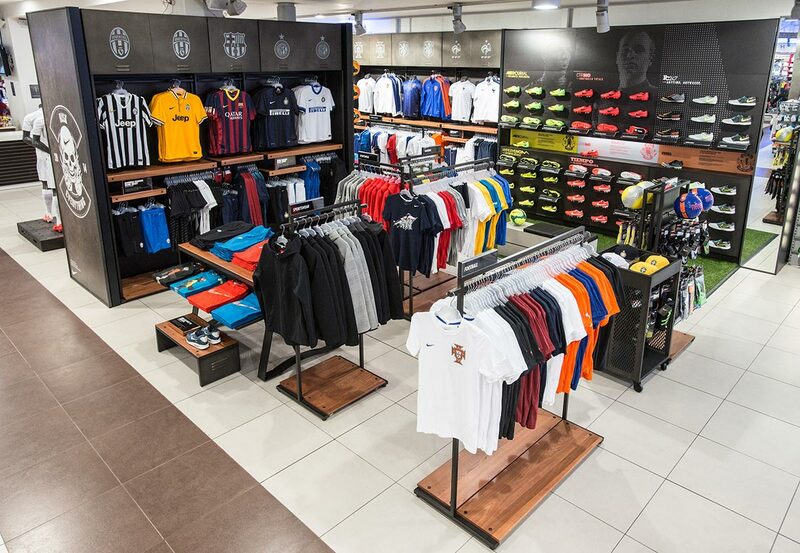 Our first project for Nike: a new space dedicated to football inside the Sport 85 store in Rome. 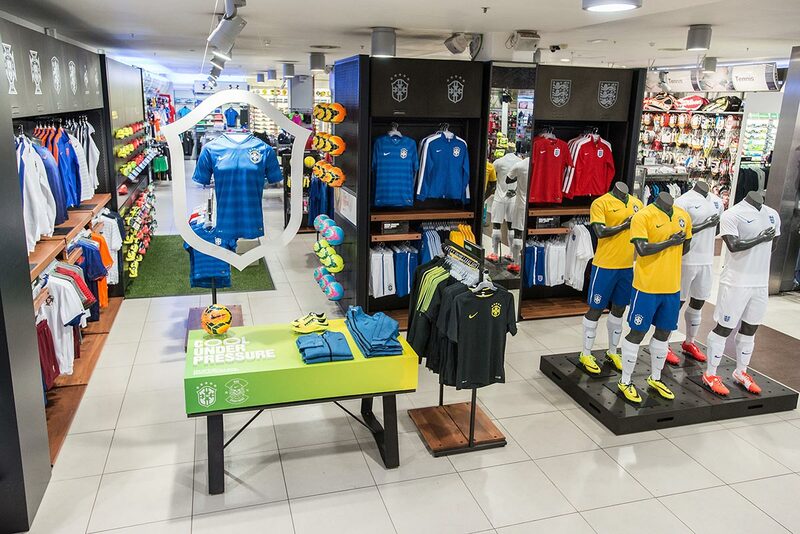 The space was right at the entrance to the large store of Sport 85, immediately adjacent to the window. 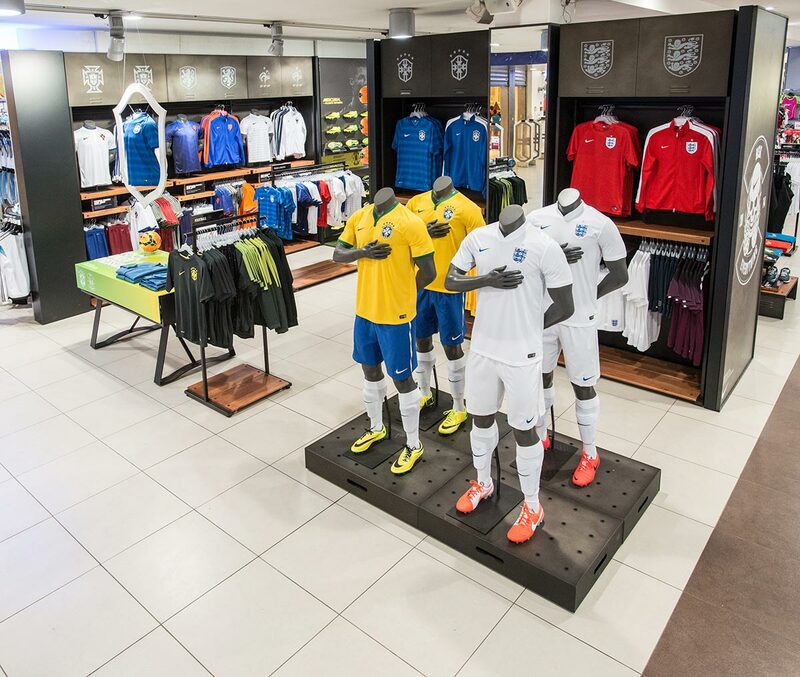 The furniture used is the original basic Nike structures and some specifically designed pieces for this area. The footwear wall floor was covered with synthetic grass to recall the football field.